Hosted by The Community Foundation (TCF), the annual event produced more than $7M for hundreds of local organizations. In 2015, donations from 21,000 online gifts totaled $1.8M which included $150,000 or more in prize money to instill fun and competition among participants. In February 2016, the Community Foundation announced the end of the Amazing Raise and the desire to direct future efforts to further support nonprofit capacity building, donor engagement and opportunities to achieve greater community impact. TCF expressed a hope that local nonprofits would learn from their participation in the Amazing Raise and evolve in their own fundraising efforts. Through the spring and summer, TCF worked with many organizations to help them figure out “what’s next”. Although there was some initial disappointment, many nonprofits were inspired to create campaigns of their own. Over the next few weeks, we’ll be sharing insight into those campaigns that evolved after the Amazing Raise. You can also read our Campaign Closeup on the Amazing Praise. They ended up surpassing the $20,000 goal and reached over $36,000 in donations from 182 gifts. We caught up with Shalom Farms, who gave us more insight into their campaign. 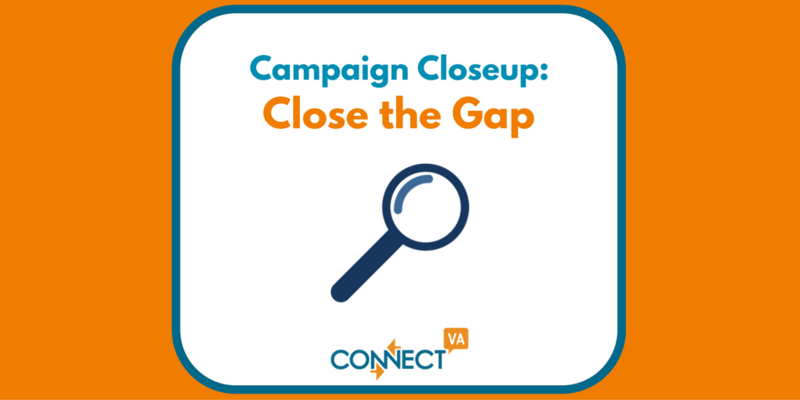 Where did the idea for the Close the Gap campaign come from? 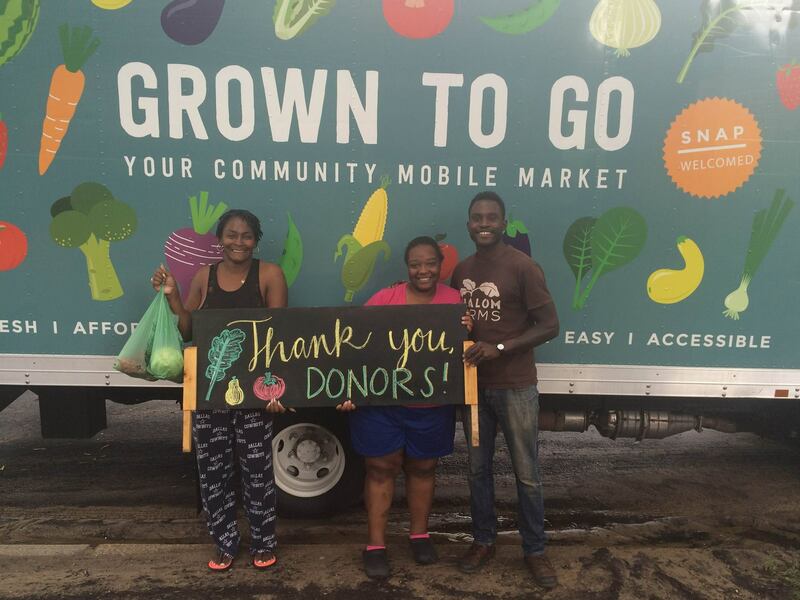 Shalom Farms had a great deal of success participating in the Amazing Raise in the past. When the event was discontinued, our organization and members of the Board decided to create an event that build on that success and replicate some of the most effective aspects of the Amazing Raise…namely the urgency and matching opportunities. As for the name, it worked on a few levels for us. Losing the Amazing Raise left a significant gap in individual donations for us. We needed to close that critical funding gap. Additionally, talk about our work as an attempt to close the “healthy food gap” in Richmond…so it made perfect sense! How did you decide what would happen during the event? We talked about several ideas to increase donor participation in the event but decided to primarily focus on one – the matching gift challenge. From past experience with the Amazing Raise, we knew that a matching gift challenge would be an effective way to increase donor participation and level of giving. We wanted a matching challenge that would incentivize folks to give a little more than the $50 they may have given in the past, without discouraging small gifts which still have a big impact for a small organization like ours. We were fortunate to have a new member of the Board who was interested in making the matching gift challenge. Additionally, we wanted to focus on online giving without discouraging gifts from folks who would prefer to write a check or donate over the phone. So we pushed people to our donation page while still allowing for checks and gifts over the phone. How did you spread the word for the event? We mailed letters to our past Amazing Raise donors to let them know about the event and why their support was needed. We followed these letters up with a personal email from our Executive Director which included directions on how to give and links to our donation page. We also encouraged board, staff, and key supporters/volunteers to each recruit at least 5 donors. On Monday morning (the first day of the event) we sent out an e-mail to all of our full newsletter and volunteer list to inform them of the event and provide information on how to get involved. We also posted this information on our social media pages. We continued with daily event updates/reminders on social media for the rest of the campaign. What went well and what didn’t? We started our campaign off with a matching gift challenge- all gifts of $100 or more made that day would count toward the match- and by 5pm on Monday, we were already about 75% of the way to our $20,000 goal. This went far beyond our expectations for the first day of the campaign and served as a great boost to our staff, friends, and Board members who were reaching out to family and friends for donations. We also sent informal, personal thank you e-mails to individuals who donated on that first day to let them know that we had reached the matching gift goal and to give them an update on our progress toward the overall goal – this immediate follow-up was very well received by our donors. What did not go well – we received a few incredibly generous gifts online and since they were given online, a percentage of those gifts went toward credit card processing fees. We realized that we could have done more to before the event to predict these large gifts and should have worked more closely with these donors. What surprised you about the Close the Gap Campaign? I think we were all surprised with the quick response from our supporters – the majority of our gifts arrived on the very first day of the event. We were also surprised about how quickly we met our campaign goal. Did you meet your goals for the campaign? Our campaign goal was to raise $20,000 – by the end of the campaign, we had raised more than $36,000. We thought we would have more individual donors giving smaller gifts. However, we ended up having fewer donors engaged than during 2015’s Amazing Raise but those donors gave a larger gift on average. We did not set a specific goal for number of first-time donors engaged but this was one of our internal goals for the campaign. We ended up engaging more than 70 first-time donors. About half of the money raised came from new donors…including a couple larger gifts…which was a huge success for us! What did you learn from the event ie what might you do differently? We definitely made the event too long. We decided to run a 4-day campaign but we met our goal before then and by that 4th day, I think we were a little burned out and our supporters were likely tuned out. Next year, we are planning to make this a 2 or 3-day event. 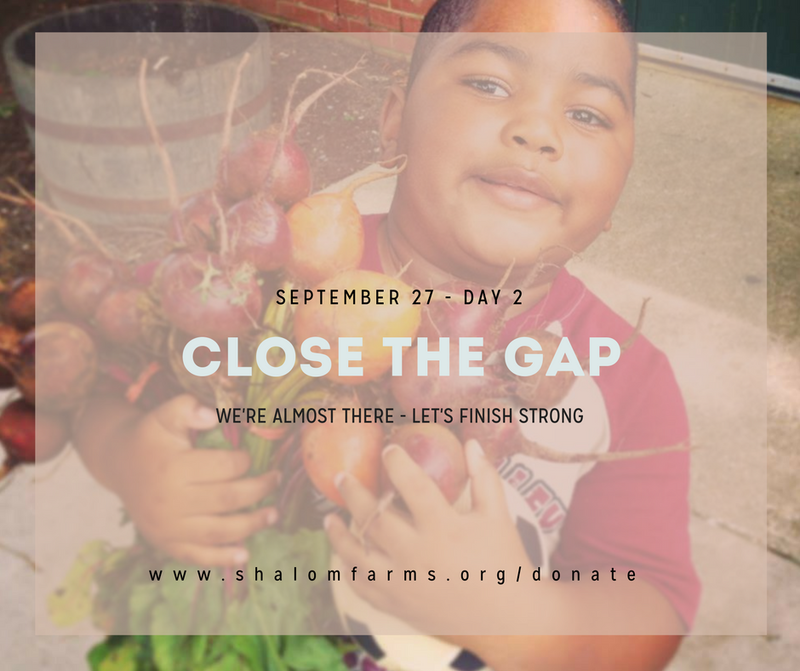 What’s next for Shalom Farms and fundraising campaigns? We are fairly confident that Shalom Farms will hold a similar fundraising event again next year with a shorter time frame and greater set goals. We will likely change our donor outreach strategy to focus more on our smaller donors and engaging first-time donors. Also, we would like to move this event to be held either near the end of August or earlier in September so it is not so close to our end-of-year/annual appeal. Also, check out these learning opportunities in Fund Development and Communications!